The top rated Joe Griffith Law Firm is one of the leading firms in the legal areas of criminal conspiracy, white collar crime, white collar criminal defense, and white collar criminal law. Our lawyers are located in Charleston and Mt. Pleasant, South Carolina, and devote 100% of their practices to litigation. Lead by former federal prosecutor Joseph P. Griffith, Jr., the Joe Griffith Law Firm is designated as an AV rated firm by the prestigious Martindale-Hubbell® attorney rating company, signifying the highest possible ranking for legal ability and ethics as judged by peers in the legal profession. Every attorney at our firm is dedicated to providing outstanding legal service to each of our clients and will fight to protect them to the fullest extent allowable under the law. Client satisfaction is our number one goal. 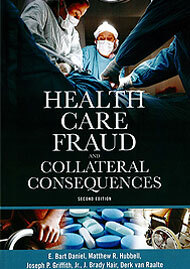 White collar crimes are serious offenses in South Carolina and throughout the United States (“US”). A white collar criminal conspiracy conviction can have life altering consequences. If you are under investigation for, or have been indicted or otherwise charged with, the white collar crime of conspiracy, you should immediately contact The Joe Griffith Law Firm for a free consultation. To prove a criminal conspiracy under federal law, 18 U.S.C. § 371, the government must establish three elements: (1) an agreement to commit an offense, (2) willing participation by the defendant, and (3) an overt act in furtherance of the conspiracy. United States v. Edwards, 188 F.3d 230, 234 (4th Cir. 1999). Knowledge and participation in the conspiracy may be proven by circumstantial evidence. United States v. Meredith, 824 F.2d 1418, 1428 (4th Cir. 1987). A criminal conspiracy is nothing more than an agreement to accomplish some common criminal objective, or to work together for a common criminal purpose. Whenever it appears beyond a reasonable doubt from the evidence in the case that a conspiracy existed and that a defendant was one of the members, then the statements thereafter knowingly made and the acts thereafter knowingly done by any person likewise found to be a member may be considered by the jury as evidence in the case as to the defendant found to have been a member, even though the statements and the acts may have occurred in the absence of and without the knowledge of the defendant, provided such statements and acts were knowingly made and done during the continuance of such conspiracy and in furtherance of some object or purpose of the conspiracy. The crime of conspiracy is actually a separate criminal offense. Hanford v. United States, 231 F.2d 661 (4th Cir. 1956). As an example, one can be charged with criminal conspiracy to defraud a bank pursuant to 18 U.S.C. § 371, and simultaneously be charged with the specific counts of bank fraud (which were the object of the conspiracy) pursuant to 18 U.S.C. § 1344. In other words, the underlying crime (bank fraud) and the conspiracy to commit the underlying crime are two separate offenses. Furthermore, all members of the conspiracy are equally guilty of all crimes committed pursuant to and in furtherance of the conspiracy. For example, if, in the process of committing the bank fraud pursuant to the conspiracy one of the co-conspirators illegally laundered the money proceeds, all of the conspirators would be criminally liable for the unlawful money laundering as well as the bank fraud and criminal conspiracy. United States v. Zabic, 745 F.2d 464, 474-75 (7th Cir. 1984). In a federal antitrust conspiracy pursuant to the Sherman Antitrust Act, 15 U.S.C. § 1, no overt act is necessary to be convicted of the criminal conspiracy. The gist of the crime is the anticompetitive agreement itself. United States v. United States Gypsum Company, 600 F.2d 414 (3rd Cir. 1979). Likewise, in a federal drug trafficking conspiracy, no overt act is necessary to be convicted of the criminal conspiracy. The essential elements of a conspiracy to violate 21 U.S.C. § 846 are (1) an agreement between two or more persons to undertake conduct that would violate the laws of the United States relating to controlled substances and (2) the defendant’s willful joinder in that agreement. United States v. Clark, 928 F.2d 639 (4th Cir. 1991). In South Carolina, there are both statutory and common law criminal conspiracy charges. State v. Crawford, 362 S.C 627, 608 S.E.2d 886 (Ct. App. 2005). South Carolina’s common law criminal conspiracy charge is a misdemeanor. However, the state’s general statutory conspiracy charge, pursuant to South Carolina Code 16-17-410, is a felony which carries a $5,000 fine and imprisonment for not more than five years, although a defendant convicted pursuant to this statute may not receive a fine or sentence greater than he would have received for the underlying unlawful act. Like the federal drug conspiracy statute, there is no “overt act” required under South Carolina law to be proved in order to obtain a conspiracy conviction. There may be legal defenses to a conspiracy charge, including but not limited to, the mere presence defense and the withdrawal defense. Under conspiracy law, the “mere knowledge, acquiescence, or approval of a crime is not enough to establish that an individual is part of a conspiracy.” United States v. Pupo , 841 F.2d 1235, 1238 (4th Cir. 1988). The “mere presence at the scene of an alleged transaction or event, mere association with persons conducting the alleged activity, or mere similarity of conduct among various persons and the fact that they may have associated with each other, and may have assembled together and discussed common aims and interests, does not necessarily establish proof of the existence of a conspiracy. Also, a person who has no knowledge of a conspiracy, but who happens to act in a way which advances some object or purpose of a conspiracy, does not thereby become a conspirator.” United States v. Heater, 63 F.3d 311 (4th Cir. 1995). Likewise, “a co-conspirator may avoid liability for subsequent conspiratorial acts by withdrawing from the conspiracy.” Pope v. Bond, 641 F.Supp. 489 (D.D.C. 1986); United States v. U.S. Gypsum Co., 438 U.S. 422, 464-65 (1978) (an affirmative act inconsistent with the object of the conspiracy and communicated in a manner reasonably calculated to reach co-conspirators establishes withdrawal). “Withdrawal, therefore, is not a complete defense to the charge of conspiracy. It becomes a complete defense only when coupled with the defense of the statute of limitations. The statute of limitations begins to run upon the conspirator’s withdrawal from the conspiracy.” Morton’s Market, Inc. v. Gustafson’s Dairy, Inc., 198 F.3d 823, 837 (11th Cir. 1999) (defendant withdrew from price-fixing conspiracy upon the sale of its dairy which triggered the statute of limitations). Generally, the statute of limitations for a federal criminal conspiracy offense is five years pursuant to 18 U.S.C. § 3282. There are exceptions to this statute of limitations period, including, but not limited to, 18 U.S.C. § 3281 (capital offenses – no statute of limitations), 18 U.S.C. § 3286 (terrorism offenses – eight years), and 18 U.S.C. 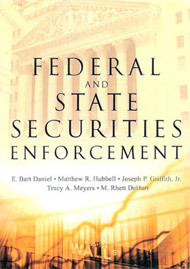 § 3293 (financial institution fraud offenses – ten years). If you or your company have received a subject letter or target letter naming you as a subject or target of an alleged criminal conspiracy, or have been arrested or charged in a criminal complaint or an indictment with the white collar crime of criminal conspiracy, contact the Joe Griffith Law Firm immediately to discuss your legal rights. Personal Injury Lawyers: Automobile Accidents, Birth Injury, Car Accidents, Medical Malpractice, Nursing Home Negligence, Premises Liability, Prescription Drug Negligence, Product Defect, Traumatic Brain Injury, Truck Accidents, Workers' Compensation, Wrongful Death. White Collar Criminal Defense Attorneys: Antitrust Crimes, Bankruptcy Fraud, Environmental Crimes, Health Care Fraud, Tax Fraud & Evasion. Business Litigation Lawyers: Insurance Coverage Claims, Qui Tam, Stock Fraud, Unfair Trade Practices, Whistleblower Claims. Serving South Carolina: Charleston, Berkeley County, Charleston County, Dorchester County.